Felix and Fingers had a blast performing at The Riviera wedding event. 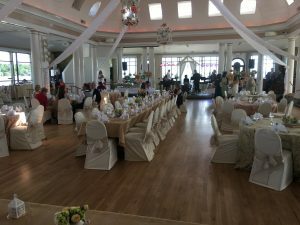 As a matter of fact, this nostalgic and classy reception was held in a historic ballroom. 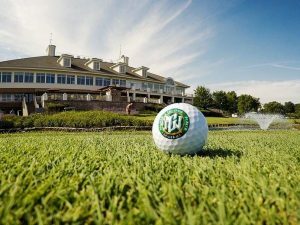 If you are searching for a top-notch venue in Lake Geneva, Illinois check out The Riviera. Congratulations Amanda and Geoff! One of the greatest things about Felix and Fingers is that we are more than a dueling piano show. 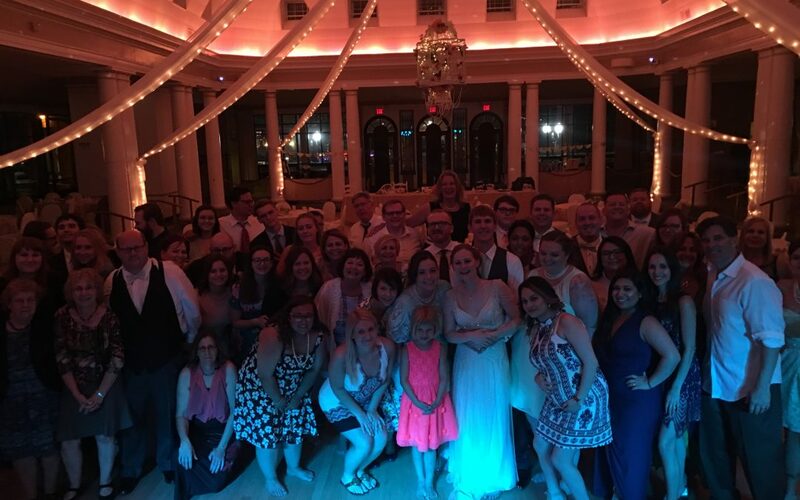 For example, Amanda adores Postmodern Jukebox so we put together a PMJ cover band for The Riviera wedding event. PMJ reworks popular modern music into different vintage genres. It’s also popular for early 20th century forms such as swing and jazz. The Riviera wedding event offered guests stunning views of Lake Geneva. Our performers set up their show in the spacious and comfortable Riviera ballroom. The ballroom boasted chic and rustic interiors. If you are interested in touring The Riviera Lakefront Facility please click here. We called on additional musicians for our PMJ cover band. Our team included drums, vocals, a bassist and pianist for a rich and full sound. To start with, cocktail hour had Felix and Fingers covering PMJ songs by artists ranging from Lady Gaga and The Strokes to Katy Perry and The White Stripes. We also played favorites such as My Heart Will Go On by Celine Dion and Say My Name by Destiny’s Child. Our performers played a variety of PMJ during dinner while everyone enjoyed delicious herb roasted chicken. Additionally, we were able to DJ the remainder of dinner to switch up the show. 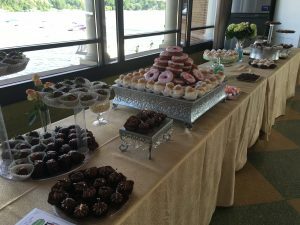 The Riviera wedding event went all out with their dessert table. There were so many donuts we thought it was National Donut Day! Felix and Fingers packed the dance floor with songs such as Such Great Heights by The Postal Service. For example, All About that Bass by Meghan Trainor and Ignition by R. Kelly had the crowd on their feet within seconds. We also played a few solo sing-along songs on the piano. Amanda didn’t waste time grabbing a mic singing her heart out to Don’t Know Why by Norah Jones. 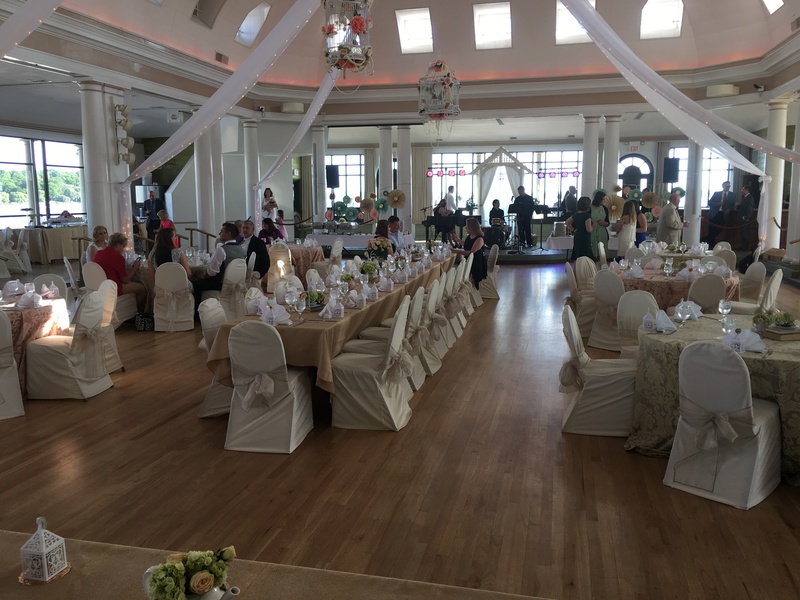 In conclusion, everyone had a wonderful time and enjoyed themselves at The Riviera wedding event. A classy occasion with great music had everyone complementing our performance. We love hearing when our clients are happy! If you would like Felix and Fingers to perform and your next event email us at info@felixandfingers.com or click here for more information. We look forward to hearing from you soon! Lake Geneva Cruise Line Hosts Corporate Event Geneva National Resort Wedding Riviera Weddings, Lake Geneva WI WinterFest at the Lake Geneva Riviera!